Netflix has increasingly focused on TV rather than movies in recent years. 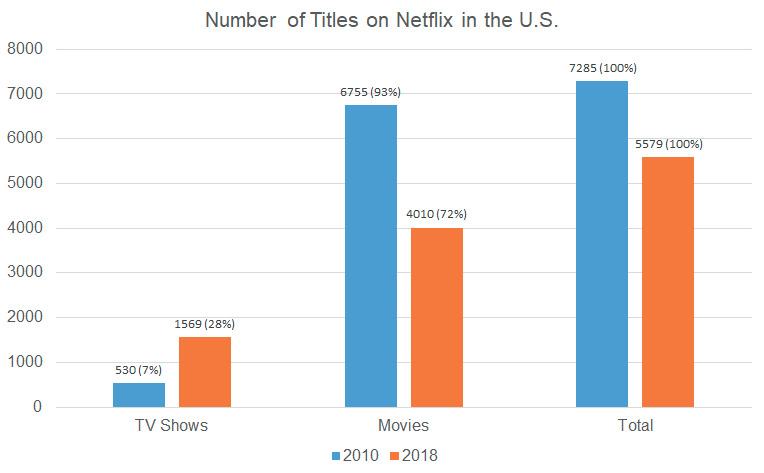 New data from Flixable, a third-party Netflix search engine, shows that the number of TV shows on Netflix has nearly tripled since 2010. The number of movies, meanwhile, has decreased by more than 2,000, according to Flixable’s data. If you thought Netflix’s movie selection has been lacking lately, it looks like you’re right. The streaming service’s number of movies has decreased by more than 2,000 titles since 2010, while its number of TV shows has nearly tripled, according to data from Flixable, a third-party Netflix search engine. 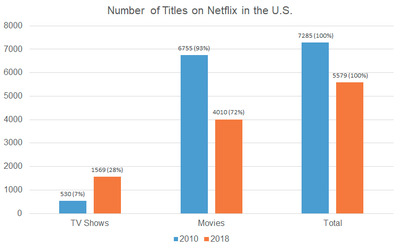 Flixable’s data suggests a dramatic shift in Netflix’s priorities in recent years. In 2010, Netflix had 530 TV shows and 6,755 movies, according to Flixable. Today, the number of TV shows has nearly tripled, to 1,569, and the number of movies offered has decreased to 4,010. FlixableThis chart from Flixable shows Netflix’s number of TV shows compared with its movies. It’s no secret that Netflix has focused more on TV shows and less on movies in recent years. He explained that if viewers were passionate about a movie, they would have already seen it in theatres by the time it ended up on Netflix. To counter this, Netflix has released original movies – 80 are expected to premiere this year. It’s an expensive solution that’s likely to lead to a smaller catalogue, but it could make Netflix more valuable for its users. 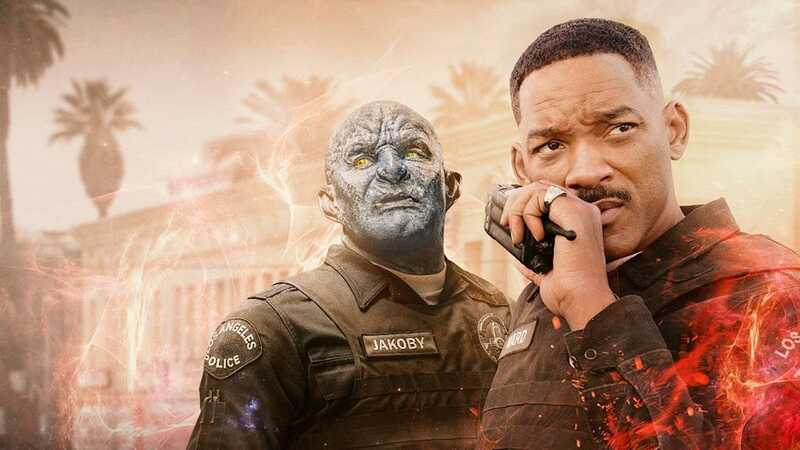 Sarandos has called the Netflix original movie “Bright,” starring Will Smith, a big test for Netflix. Though critics shredded film,11 million people in the US viewed it in its first three days of streaming availability in December.